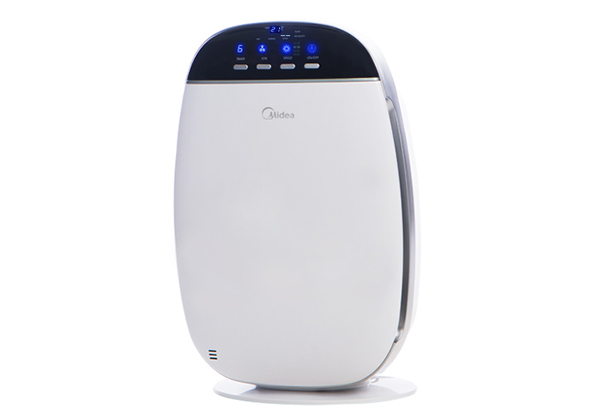 Midea Air Purifiers uniquely combine 3 different filtration layers; a pre-filter, a HEPA filter and an activated carbon filter, to assure remarkable filtration power down to the last micron. The Ionizer releases negative ions to eliminate odour, dust, smoke and pollen particles to give you fresh and healthy air, it also makes the air in a room healthier for people suffering from asthma, allergies, impaired immunity or respiratory ailments, as fewer allergens circulate into the lungs. With a higher CADR (170 m³/h) than others, Midea Air Purifiers deliver purer and fresher air to all corners of your indoor environment. Midea Air Purifiers give you maximum performance with minimum power consumption (45W). The ultra low noise level with ensure your family sleeps undisturbed.